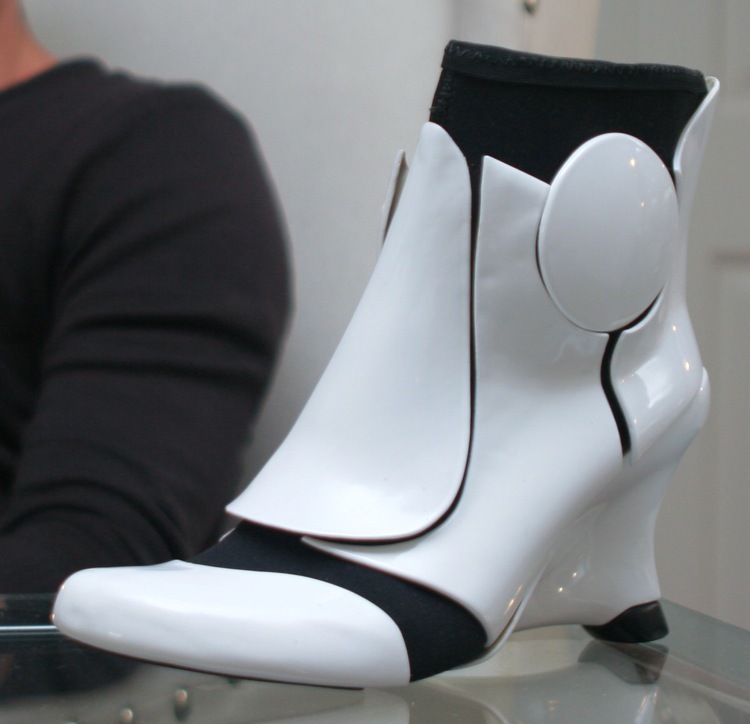 I don't think even the Star Wars designers could come up with something as hideous as these! I get the idea... The Alien is a classic design, quite a few offshoots, but this is a really poor take on the idea, don't know it just doesn't work. And from a designer who is normally much better than this! Does my find win a prize? Errrrm no prize for those...... Though theyre a close contender for the Steptoe award, best use of scrap metal! Steptoe award, best use of scrap metal! Not at all it ran 1962-1974 and being born in 69 means I did not see it first time round! I hope I don't look that old?! Without sitting down with pen, paper and some history books, it really is hard to know who would have been around for what. Usually the way to tell, is if you know about it, chances are you were there. Given Dad's Army (1968-1977) is still on TV most weeks, I can genuinely understand how you might also know about Steptoe and Son, without having watched it originally on a live broadcast. I have actually seen a real bona fide genuine Rag and Bone man, when we were little 5-8 we used to visit my Grandparents in Bury and they still had the ragnbone man coming up the back street looking for junk! I honestly cant remember if he had a truck or horse... It was probably a truck as I'm sure I would have remembered the horse! I do still like some of the older shows/ films.... Tonights Jack Lemmon in "The mightiest ship in the navy" 1960 but still good! I'm embarrassed to say, I've seen the real thing too. Was a four wheeled cart pulled by a horse, and the ol' fella with the horse had a very very loud bell he would ring as he walked up the hill. Nice..... If your going for the "Yeti" look! 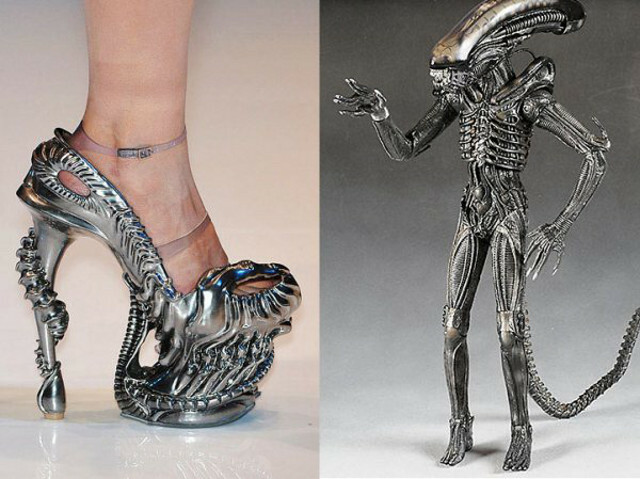 Hideous shoes..... But could see it taking off in a Chav way! 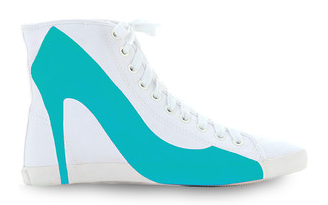 Now this is the sort of shoe that Mrs Heelman would go ahhhh how cute, buy at a ridiculous price and then wear once! At least they would be interesting, Mrs Shyguy buys flats and very boring shoes which she only wears once. A couple of months ago it was £45 for some boots, very plain very flat boots. Worn once and now shoved in the cupboard and in their place on her feet some equally boring £20 Asda boots. Now they might be really fun..... But just double the difficulty of heels plus skating..... Could be a swift trip to A + E !! I know exactly what you mean, Mrs Heelman does the same, spots a pair of overpriced heels that she will only wear once and then has every excuse why the can't be worn! And then she wears these awful short black small wedge ankle boots that are sooooo horrible but despite 30 plus available pairs are the only shoes that fit! They were £12 in Asda so it shows the quality and style. This also does NOT stop Mrs H from constantly oogling heels knowing I like them, in the off chance that she might get them bought for her. I am wise to that trick now! If she cared for them instead of dumping them in a wardrobe I might be more inclined to open the bank of heelman for her! 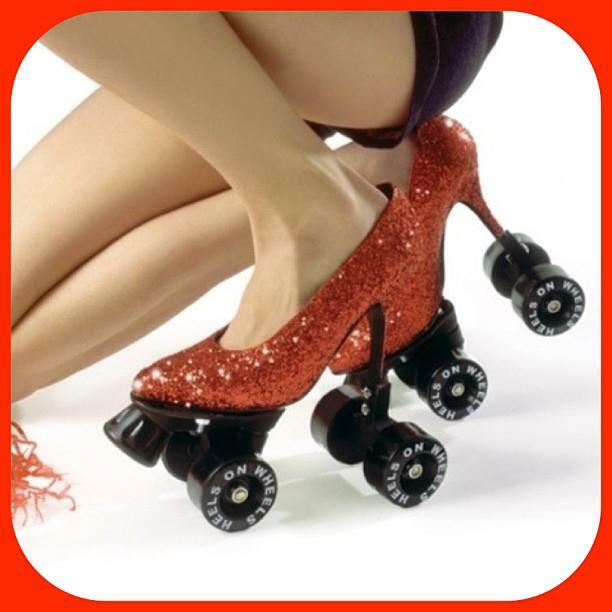 High heeled roller skates ..... ?? Still does the same though, but spends more of her money on shoes and doesn't wear them. Years ago, I used to buy all her heels, and they got worn. Then we got married. I changed jobs and spent more evenings working. Our social life took a dive, and she got out of the habit of wearing a heel. Couple of foot injuries later, there are still plenty of heeled shoes around -that she bought- but they remain mostly unworn? Herself had a bit of a sort out yesterday. Found a pair purchased 7 years ago for £70. Unworn. Most we'll see is £15-£20 off the auction site. It's one of the reasons I stopped buying them. That, and the £150 pair she treated herself to, then never used. There's another pair of boots loitering in a similar situation. Originally £270 KG OTK flat boots, actually bought at £150 while on a special promotion. They've been here 5 months, tried on 3 times. I don't know why they've been kept. They don't seem to be terribly well made, and the price prevents them being 'wear-all-the-time' boots. Ironically, if George at ASDA had made these boots (in leather) and were £40/£50, they'd have been worn out by now. I too am reluctant to wear expensive shoes and boots, but expensive to me tops out at £45 usually. I did go a bit overboard a while back, but I've pretty much made sure I bought at good prices, so losses from my impetuosity are low. The one or two pairs I haven't managed to sell on, WILL get worn. Not anything like as bothered about less expensive shoes though. Maybe that's why your womenfolk prefer the use (wear out) the budget priced shoes and boots? Any damage and wear is not an extravagance? 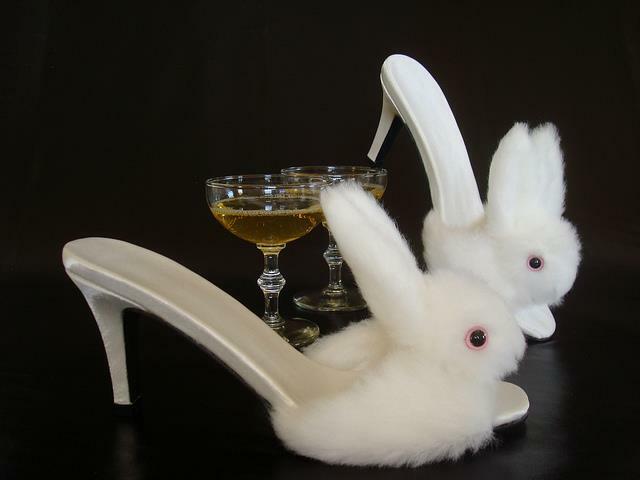 Perhaps expensive unworn shoes are like a medal, to be shown and discussed with girlfriends?